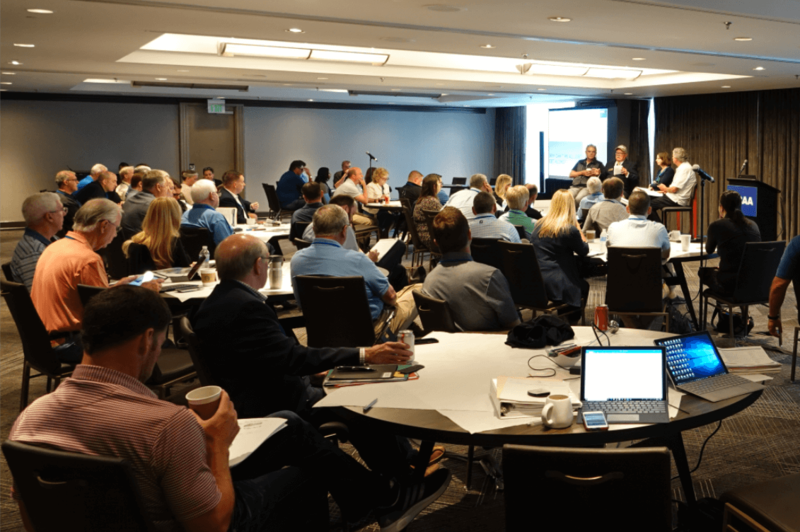 The 2018 Association Executives Council (AEC) Best Practices Conference was an in-depth examination of best practices in association management. Attendees participated in interactive discussions covering a variety of topics over the course of the three-day conference including UA growth and apprenticeship initiatives, the local association executives roll regarding trust funds, and how to embrace and avoid the pitfalls of technology. United Association Assistant General President Mike Pleasant joined by UA/MCAA Joint Strategic Planning Co-Chair Mark Rogers, addressed the attendees Wednesday morning to give an overview of recent UA/MCAA news and developments. In addition to their update, Assistant General President Pleasant and Rogers participated in an engaging, interactive dialogue with the local affiliates. 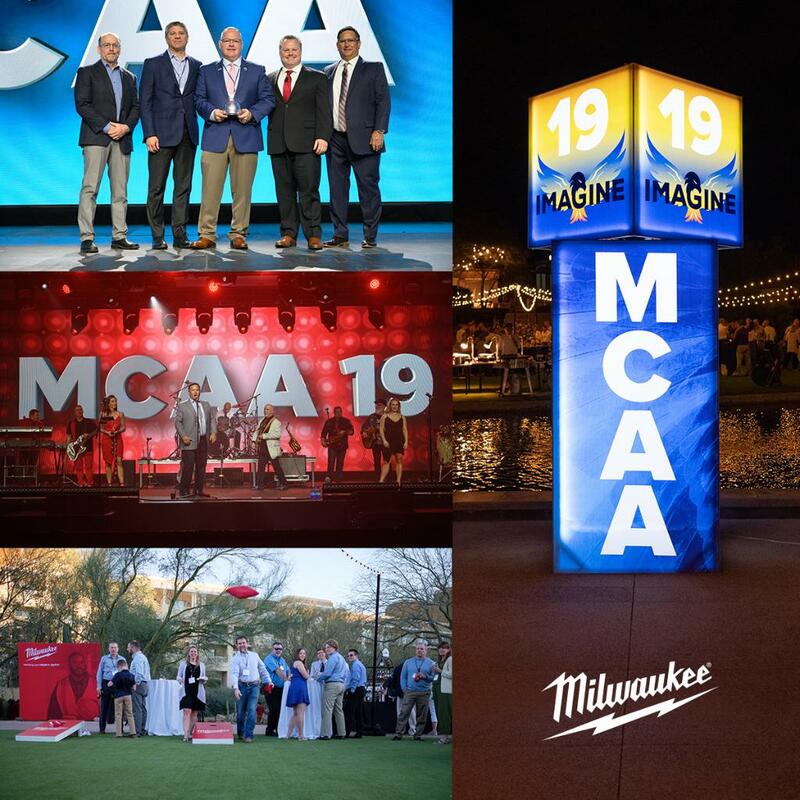 Another conference highlight was the announcement of the updates to MCAA’s AEC Best Practices Initiative in support of its affiliated associations. This series of programs is designed to provide education and resources to MCAA’s local affiliated associations enabling them to provide exceptional service to their contractor members. The offerings of the AEC Best Practices Initiative are completely underwritten by MCAA. 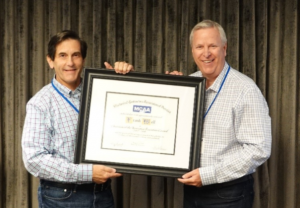 The conference concluded with current AEC Chair, Frank Wall (PMCA of Oregon) stepping down and the introduction of Tony Saporito (MCA of New York) as the new AEC Chair, Ed Kommers (MCA of Western Washington) as the Vice Chair and Rick Lundvall (MCA of Rockford) as the new Program Chair. In his new role, Saporito addressed the group thanking them for their dedicated conference participation. 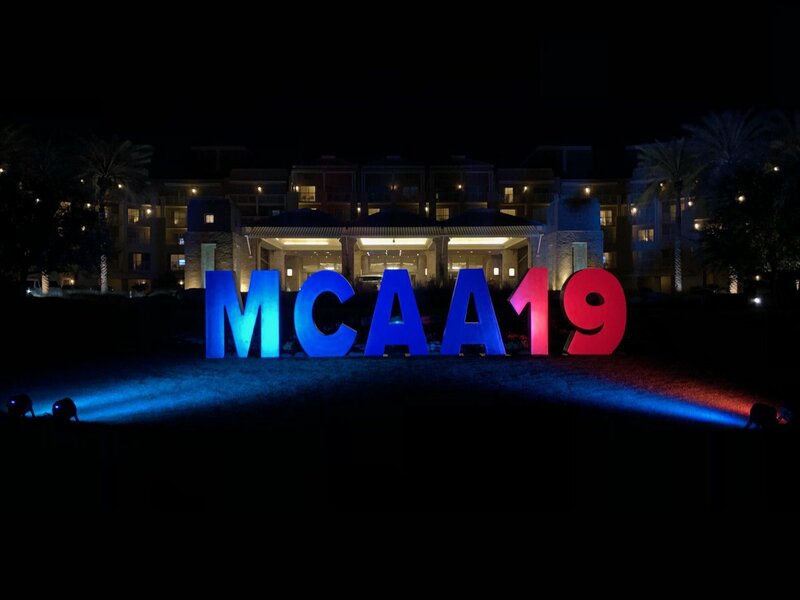 He stressed the importance of the education this conference brings to local association executives and encouraged attendees to take full advantage of MCAA’s Best Practices Initiative. The 2019 AEC Best Practice Conference is scheduled for late July in Milwaukee, WI.